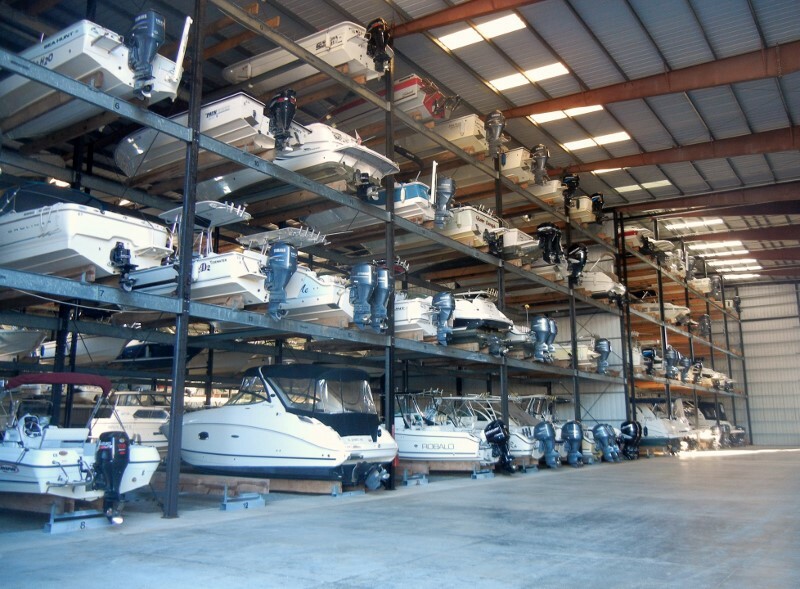 If any of you want to keep a boat 32′ or less in length, The stack storage is the way to do it. 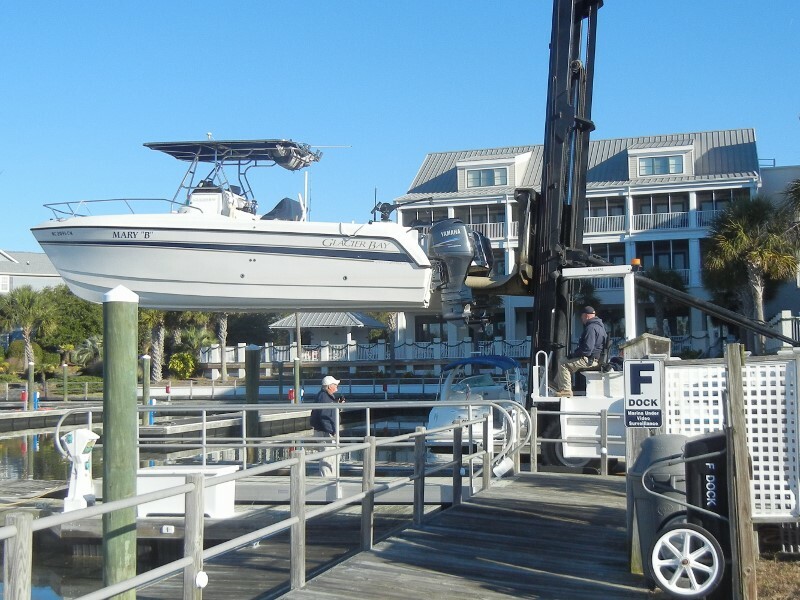 You just call the marina office and request a time for them to put your boat in. 300 inside racks. This is my boat going in.